Nothing approaching the scale and intensity of this indigenous uprising has taken place in Canada or the U.S. in many years. There have been grassroots protests across Canada, including flash mobs at malls and daily drum circles in every major city, with anywhere from a couple hundred people to more than 60,000 attending. The catalyst for this outpouring of protest was the passage of Canada’s omnibus budget bill C-45, pushed by Stephen Harper and his conservative government. The bill is simultaneously an assault on public-sector workers and a rollback of environmental protections. The legislation raised the retirement age from 65 to 67 and created a two-tier public-sector pension system. It also amended the Navigable Waters Protection Act, which put many waterways in Canada under federal protection, reducing the number of protected lakes, streams and coastal areas from 2.6 million to just 87 now. Amendments were also made to the Indian Act in order to loosen the requirements needed for authorization of land leases. Currently, a majority of those who live on a reservation are required to approve such transactions, but the bill would now require only a majority of those participating in a particular vote. Thus, if only 30 per cent of the people on a reservation votes in a referendum to lease land, it only will take 50 per cent-plus-one of the 30 per cent turnout to give approval. This represents a direct attack on many traditionals, who often don’t participate in the reserve government because they still consider these governing bodies to be an outgrowth of Canada’s colonial project. The Harper government never once consulted any First Nations about the amendments to either of these acts. “What we saw on Parliament Hill was a true reflection of the outright disregard the Harper government has towards First Nation people,” said Nina Wilson, a member and founder of the Idle No More movement. Bill C-45 is essentially a gift to Canada’s oil economy. The oil industry in Canada is now the third largest in the world behind Saudi Arabia and Venezuela, and the country is home to 75 per cent of the world’s mining corporations. At a time when pipelines are rapidly expanding across Canada and the U.S., the bill aims to facilitate this expansion. “This is kicking open the door [for Canada] to become a resource colony,” said Clayton Thomas-Muller of the Indigenous Environmental Network. By easing restrictions on the use of huge swaths of Canadian territory, the government seeks to further feed the frenzy of oil and mining production. This isn’t the first time that Harper has ignored First Nations. In 2005, various provincial governments, the federal government and First Nations agreed to the Kelowa Accords, which was supposed to yield $5 billion over the course of 10 years to be spent on education, health services, housing and economic development. 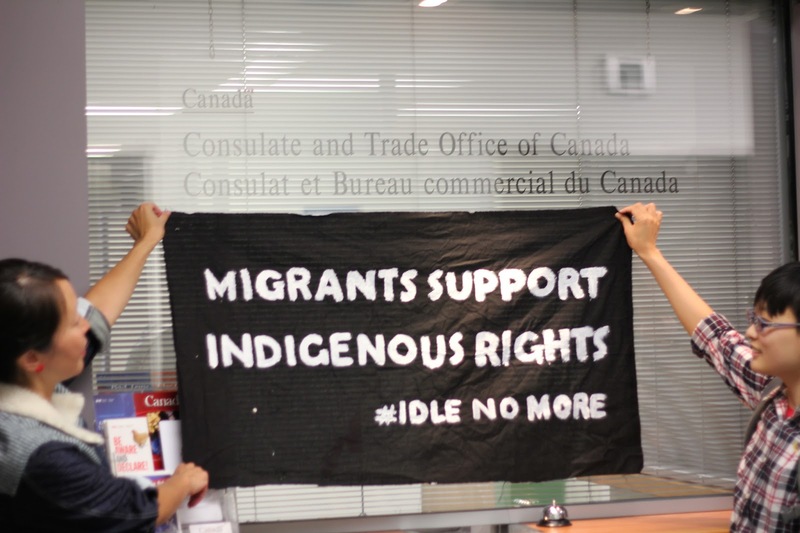 The idle No More movement has said enough is enough. Much like Occupy Wall Street in 2011, it is a decentralized movement with organic groups being formed across Canada and in the U.S. It has captured the imagination of Native and non-Native people alike in Canada and has succeeded in uniting a number of diverse constituencies, including public-sector workers and environmentalists. We honour you, Chief Spence, driven to this measure, and with humility and gratitude thank you for your courageous defence of the knowledge you have kept alive, for trying to protect places that future generations will enjoy, and though it is maybe not your intent, to know that your actions are now speaking for all of us, for everyone who wants and deserves a sustainable way of life in harmony and respect with the earth. 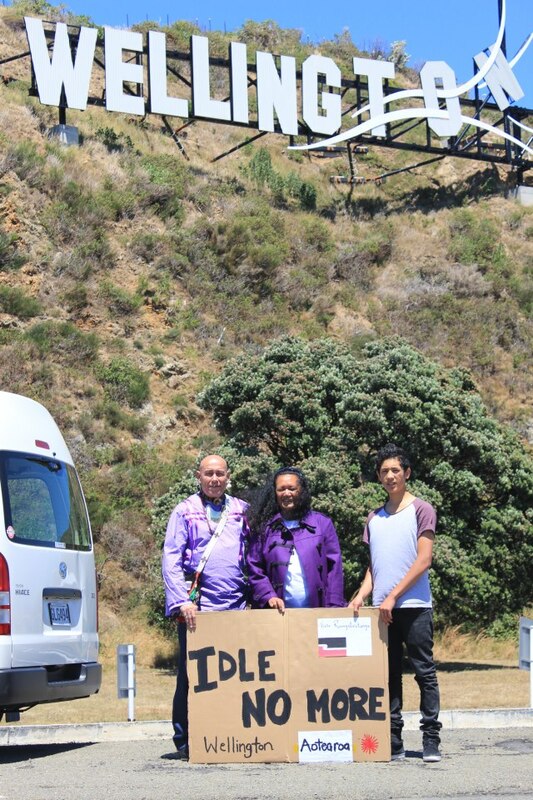 We add our name to those who will not stand for taking away sovereignty and the inherent right to land and resources from First Nations peoples in this abusive and indefensible relationship. Though First Nations only comprise about 2.5 per cent of Canada’s population, they are a fastest-growing segment. Much like the American Indian Movement in the 1970s, the youth of the First Nations are looking to revitalize their languages and cultures, rebuild their nations and provide new energy for the struggle. Though the budget bill ignited the revolt, there are currently 14 other pieces of legislation under consideration in parliament that deal with First Nations. Idle No More has thus created the space to talk about even bigger issues, such as sovereignty, treaties and basic respect for indigenous people in Canada. Idle No More activities will not stop until we reach our two goals: Indigenous sovereignty (Nation to Nation relationship) and protection of the land and water (Social and Environmental Sustainability). Once we reach these goals, we will continue to work to protect them. 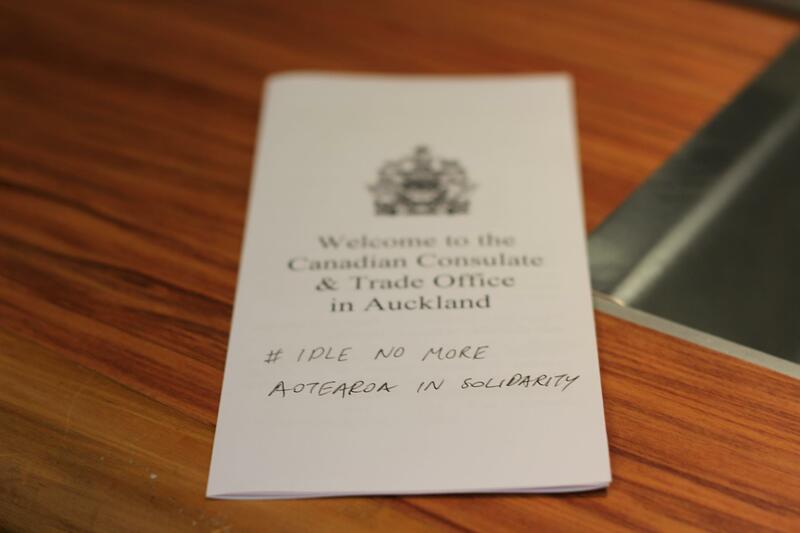 In essence, Idle No More is here to stay.